Living with Post Traumatic Stress Syndrome and surviving. I have lived with PTSD since I returned from Vietnam in 1966. My first step to manage that PTSD was to stop drinking excessive amounts of alcohol in 1982. I haven’t been drunk or hungover since, because I know from sixteen years of experience that alcohol makes PTSD worse. “Due to being one of the most adulterated drug markets, the impurity of molly in different regions and at different times varies quite a bit – that is, there’s no such thing as the ‘most common adulterants’. “Besides MDMA, ‘ecstasy’ or ‘molly’ may contain varying levels of: Psychoactive substances designed to mimic the effects of MDMA like MDA (methylene-dioxyamphetamine a.k.a. ‘sass’) or ‘bath salts’ (a general term for synthetic cathinones, a class of amphetamine-like stimulants); Stimulants like amphetamine, cocaine, caffeine or methamphetamine; or, more rarely Anesthetics such as ketamine (‘Special K’) or dextromethorphan (DXM – an ingredient found in over-the-counter cough medicines). Every one of these mind-altering drugs, legal or illegal, causes harm to the body in one way or another. DrugPolicy.org says, “As with all alcohol and other drug use, taking MDMA carries risks, albeit comparatively lower than most other drugs. But what does “least risky” mean when every drug comes with a risk even if there are alleged benefits and if you clicked on that last link to DrugPolicy.org, you will discover a chart that compares those risks, and the one with the most risk is a legal drug called alcohol. I think the only way to deal with PTSD and other mental challenges is to learn to manage it on your own, and if you can’t or won’t, you are just fucked. Legal or illegal drugs all have side effects that are often worse than the mental or physical health problem we want to fix. And all of those drugs profit someone like President and malignant narcissist and psychopath/sociopath Donald Trump. There is another choice and that choice is called mindfulness and/or meditation. Mindful.org says, “Mindfulness. It’s a pretty straightforward word. It suggests that the mind is fully attending to what’s happening, to what you’re doing, to the space you’re moving through. That might seem trivial, except for the annoying fact that we so often veer from the matter at hand. Our mind takes flight, we lose touch with our body, and pretty soon we’re engrossed in obsessive thoughts about something that just happened or fretting about the future. And that makes us anxious. 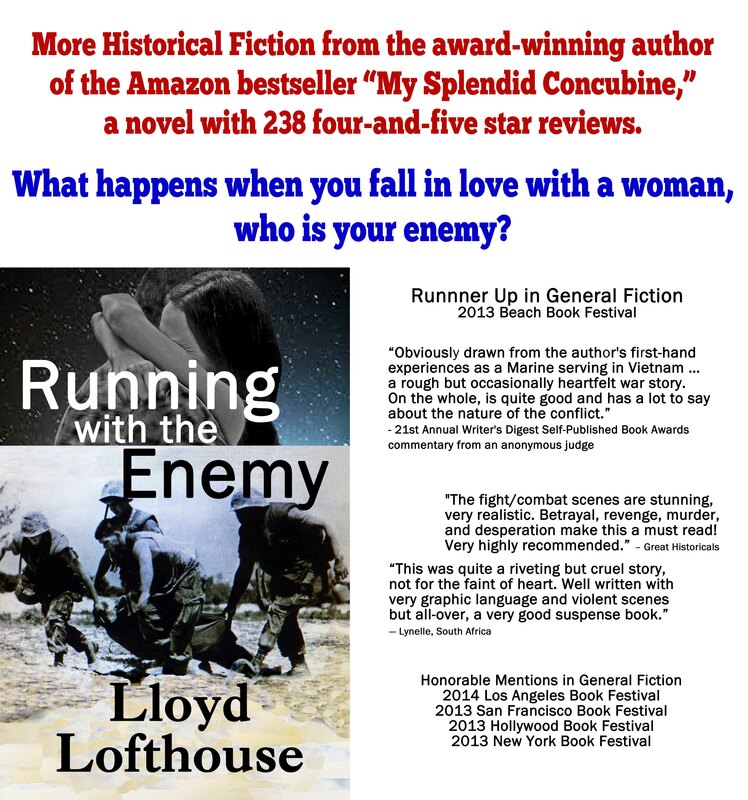 Lloyd Lofthouse is a former U.S. Marine, Vietnam Veteran, retired public school teacher, journalist, and award-winning author.